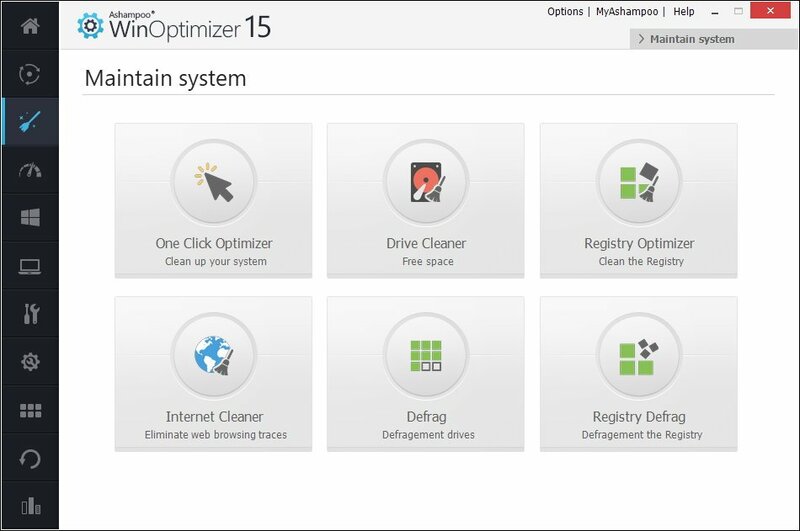 2019 is here, and this might be a good time to give your Windows desktop or laptop a spring clean for the new year with system optimizer software. A system optimizer includes a variety of tools for optimizing desktops and laptops so that they run almost as good as new. Many publishers boast that their system maintenance utilities greatly increase system speed and fix numerous issues that crash software. For some optimizer software, that can be exaggerated marketing hype; but the best system maintenance utilities do deliver an overall performance boost. Most Windows repair and optimization software include hard disk cleaners, registry cleaners, startup managers, RAM optimizers and program uninstallers. The best PC repair and optimizer software will also provide tools for analyzing systems, file recovery, updating drivers, erasing duplicate files, defragging hard drives, closing system processes and repairing invalid shortcuts. 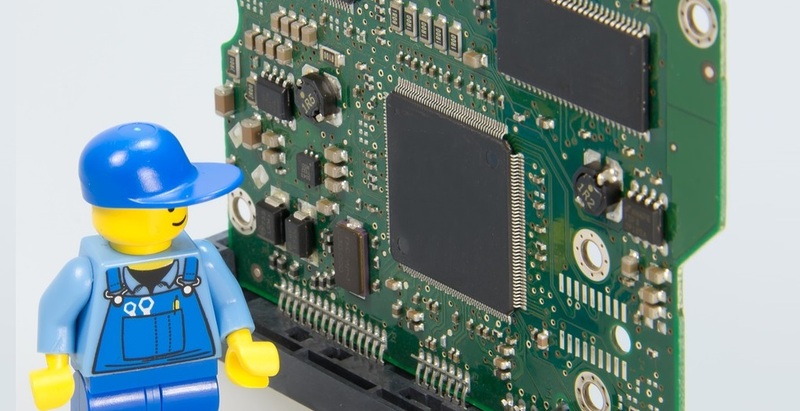 So some system maintenance utilities are loaded with optimization tools, and these are six of the best Windows repair and optimizer software for 2018. IObit Advanced SystemCare 11 is a system optimization that provides a comprehensive suite of tools and a few novel features. This software has freeware, Pro and Ultimate editions that are retailing from $19.99-$29.99, which is decent value. The Pro edition provides additional real-time protection, a more rigorous one-click maintenance tool and combats malware. The Ultimate edition is almost both an anti-virus and system optimizer. You can run this software on Windows platforms from XP to 10 by clicking Free Download. IObit Advanced SystemCare includes a great all-in-one Scan option that incorporates various system optimizations. Alternatively, you can utilize its disk cleaner, RAM optimizer, startup manager, internet and program deactivator (Task Manager) tools separately. The software comes with three separate optimization modes, which include a Game Mode that will automatically switch off superfluous processes and background software to free up RAM for games. The Performance Monitor desktop widget is a more novel addition to Advanced SystemCare Pro that displays CPU, RAM, disk and network usage resource monitors. Advanced SystemCare is also a solid choice for PC repair. Unlike a lot of system maintenance packages, SystemCare combats malware; and you can utilize its Win Fix, Disk Doctor, Shortcut Fixer and Registry Cleaner tools to fix Windows issues. 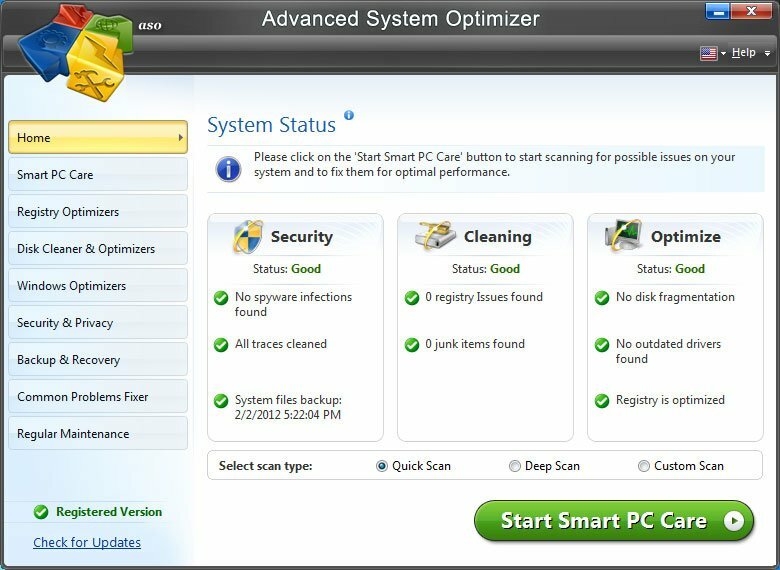 SystemCare Ultimate even has a full anti-virus scanner. So this system optimizer package includes more maintenance tools than most alternatives. There are times when a user can face a sudden decline in the performance of their PC. It can be because of many reasons. The situation comes up to be quite irritating and attaining quick fixes can be complex. In tackling such situations, it is good to choose Defencebyte Computer Optimizer. The product is framed with the best of features that can help in elevating the performance of a PC in an improved way. Windows XP, Windows Vista, Windows 7, Windows 8, Windows 8.1, Windows 10, both 32bit and 64 bit. The product is the first choice to pick at any time. A complete package of unbelievable features, it performs incredibly well by vanishing unwanted files and programs that can hamper the smooth working of PCs. With it, computer optimizer helps in regulating programs to keep the performance at its best level. It also helps in accomplishing every important task absolutely free from hurdles. If there’s a need to level up the performance, opt for this software, you always wished for. System Mechanic is one of the easiest optimization software to utilize and delivers a genuine system boost. There are two versions of the software that are retailing at $49.95 and $69.95. The $69.95 System Mechanic Pro package blocks malware and includes enhanced search and recovery tools. Both versions of the software are compatible with Windows 10, 8.1, 8 and 7; and you can also download an unregistered version from this website page. System Mechanic has pretty much got the full suite of system maintenance tools. It includes registry, shortcut, hardware diagnostic and HDD repair tools. For system optimization, System Mechanic provides RAM optimizer, registry defrag, duplicate file remover, driver update, extensive HDD cleaner, Windows optimizer, startup manager and net booster tools. The best thing about System Mechanic is probably his system analyzer that provides you with a system status and overview of the essential maintenance required. So this Windows optimizer doesn’t really lack anything, and it can notably enhance startup speeds and repair thousands of software issues. AVG TuneUp is among the most highly rated multiplatform system optimizers that you can optimize your desktop, laptop, tablet or phones with during 2018. The software is compatible with Windows and Mac platforms, and you can add AVG Cleaner apps to Android and iOS devices. You can also install this software on as many devices as required, so you won’t need to invest in more than one AVG TuneUp package for multiple desktops or laptops. AVG PC TuneUp is retailing at $39.99 (for one-year subscription), and it has a 30-day trial version for you to try out. 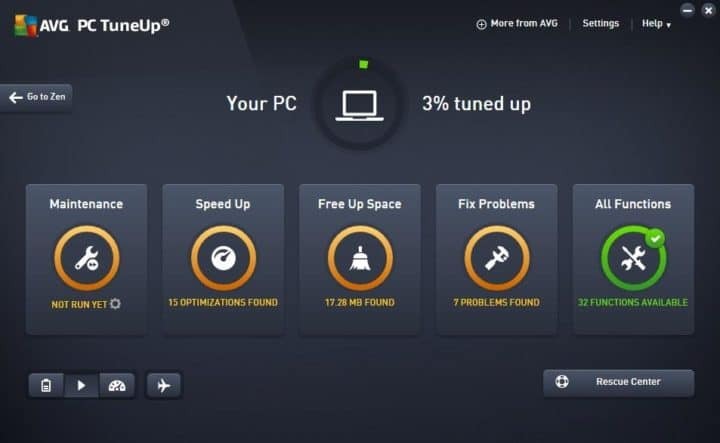 AVG PC TuneUp is an optimizer that comes with not one, but four all-in-one scans for general maintenance, speeding up Windows, increasing free disk space and fixing software issues. However, you can also utilize the software’s 32 tools separately if required. AVG TuneUp boasts a pretty full toolkit that includes the following: hard drive cleaner, duplicate file eraser, RAM optimizer, registry cleaner, disk defragger, file recovery tool, uninstall manager, file shredder, shortcut fixer and startup manager. The latest version also comes with Programs-On-Demand technology that minimizes the resource usage of some programs and automatically updates third-party software. Glary Utilities Pro 5 delivers a greater overall performance boost for Windows desktops and laptops than most other system maintenance utilities. Although the software has a freeware and Pro version, there’s little difference between them. The $27.96 Glary Utilities Pro 5 is for commercial usage and has automatic updates, but the freeware package still includes all the tools in Pro 5. As such, this is one of the best freeware system optimizers for 2018 that you can add to Windows platforms from Win 2K to 10 by pressing Download Now on this web page. Glary Utilities Pro 5 boasts more than 20 system maintenance tools for Windows. For system optimization, Glary Utilities includes disk cleanup, startup manager, RAM optimizer, disk defrag, duplicate file eraser, internet history cleaner and registry defrag tools. One thing it lacks is a system analyzer that suggests optimizations, but that aside there’s little missing. The software even includes a more novel Split files tool, which isn’t something you get in every system maintenance utility. Glary Utilities also has some handy PC repair tools. For instance, its 1-Click Maintenance tab incorporates registry cleaner, shortcut fixer and disk repair tools. You can utilize this software to repair system files and restore deleted files. Glary Utilities even has a malware remover, which is a rare tool for system maintenance software. 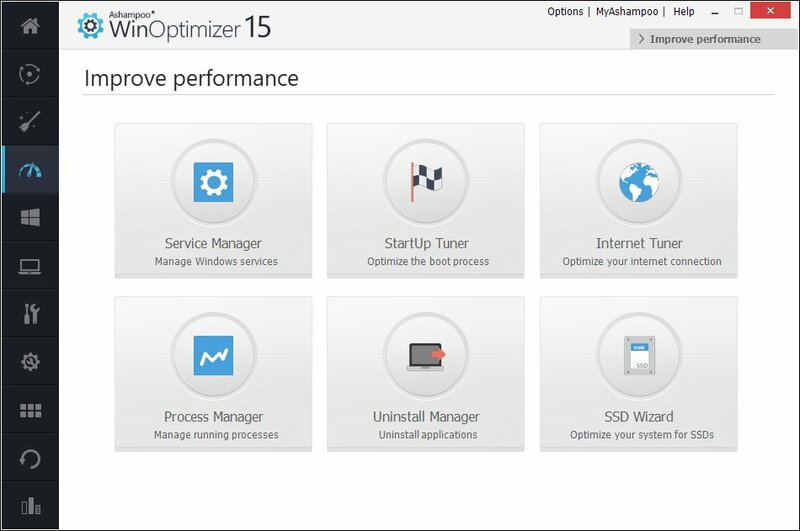 Ashampoo WinOptimizer 15 for Windows 10/8.1/8/7 packs in the majority of tools most users will need for general system maintenance and optimization. WinOptimizer 15 is now retailing at a discounted $9.99 (from $39.99), which is a real bargain for optimization software that has a plethora of options to explore. There’s also a stripped down WinOptimizer FREE you can download it below from the official server. WinOptimizer 15 includes system maintenance, system analysis, optimization, customization and file tools. For system maintenance, it has a handy 1-Click Optimizer that incorporates the internet, registry and hard drive cleaners. WinOptimizer users can optimize their PCs with Internet Tuner, Service Manager, Startup Tuner, Uninstall Manager and SDD Wizard tools. The software’s file tools enable you to thoroughly erase files, recover them and check for disk errors. System maintenance utilities aren’t usually much good for customizing Windows, but WinOptimizer also has some handy Windows customization tools for adjusting system settings, saving desktop icon layouts, editing program shortcuts and customizing context menus. Advanced System Optimizer ticks all the boxes for system optimization, repair and management tools. Thus, this is another of the most comprehensive repair and optimizer utilities for 32 and 64-bit Windows platforms from XP up. The software is currently available at $39.95, but there’s also an unregistered version that doesn’t repair Windows issues. Click Download Now on this home page to save the unregistered program’s installer to Windows. Advanced System Optimizer provides a good selection of registry, disk and Windows optimizers. You can utilize both a registry cleaner and optimizer, three disk optimizer tools and duplicate file remover. Furthermore, the software includes game and RAM optimizers so that you can maximize RAM and system resources for gaming. A driver updater is also included with which you can update antiquated drivers. 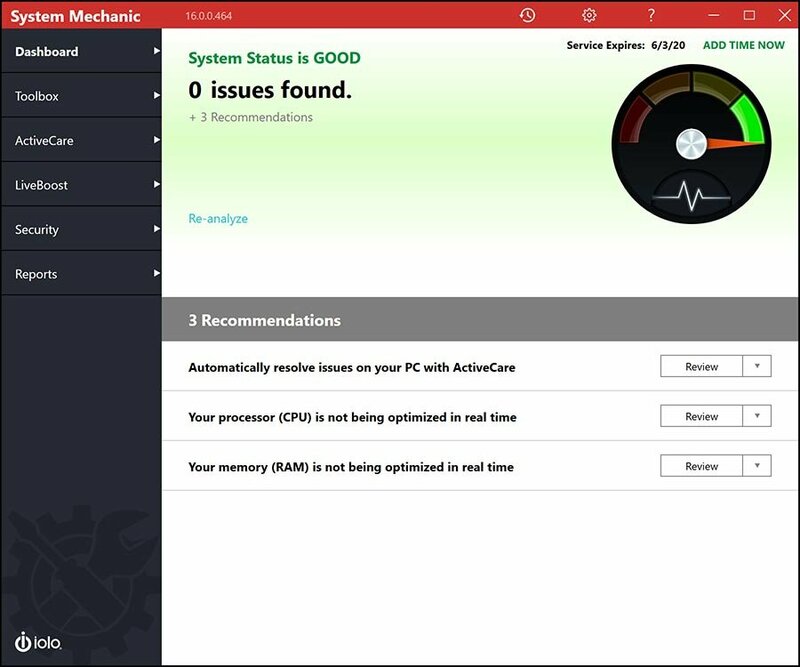 This system maintenance software also scores highly as a PC repair toolkit. 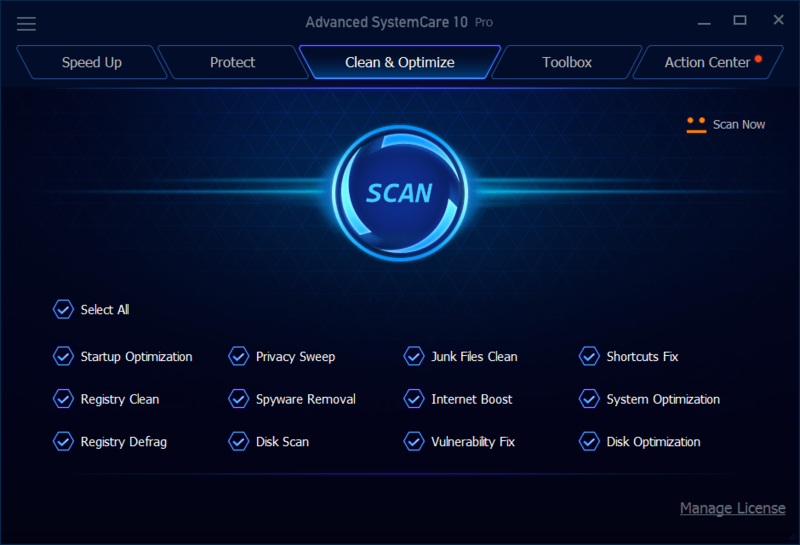 Its one-click PC Care scan can fix registry issues, update drivers and erase junk data all in one go. You can recover missing files with the Undelete tool. The software includes a PC Fixer that detects and fixes common Windows issues. If that’s not enough, Advanced System Optimizer also blocks malware. Another great software that can optimize your PC and help you deal with unnecessary files is CCleaner. By using this tool you’ll ensure that your PC is faster and more stable with fewer crashes. The application is optimized for cleaning temporary files, so you can easily clean your Recycle Bin, recent documents, temporary files, and other files that might interfere with your PC’s performance. In addition, the application has a built-in registry cleaner so you can easily clean your registry and remove old and unused entries that are slowing down your PC. 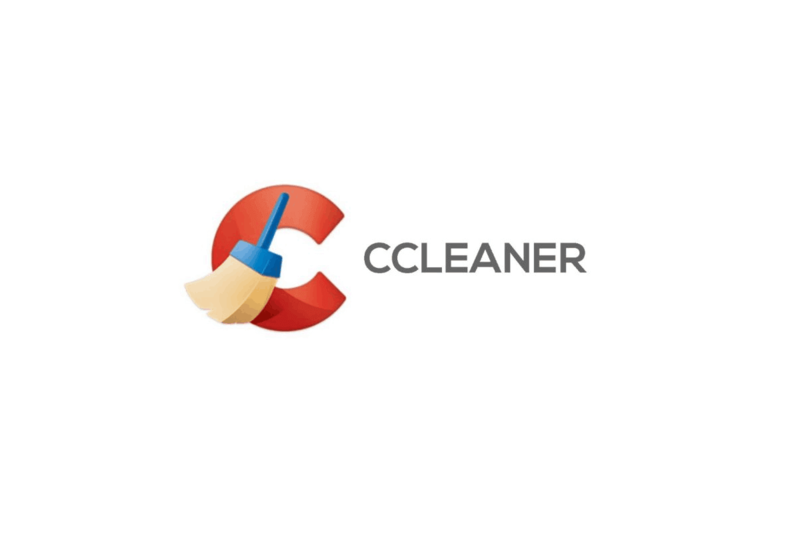 CCleaner also works as a browser cleaner allowing you to remove temporary files, history, and cache from all your browsers, right from this application. The application also works as an uninstaller, allowing you to easily remove third-party software from your PC. Another feature that users can find useful is the ability to manage startup items, so you can easily disable all unwanted applications that are starting automatically with your PC. Overall, CCleaner is a great tool if you need to free up some space and remove old and temporary files from your PC. The application also has other useful features that will help you optimize your PC, so if you want to make your PC faster and more stable, we suggest you try out CCleaner. Those are some of the best PC optimizers to get your Windows desktop or laptop in shape with for 2019. They can considerably boost overall system performance for more antiquated hardware. You can also utilize those maintenance utilities to resolve various Windows software issues.